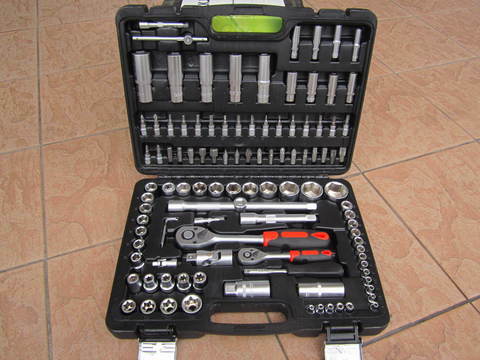 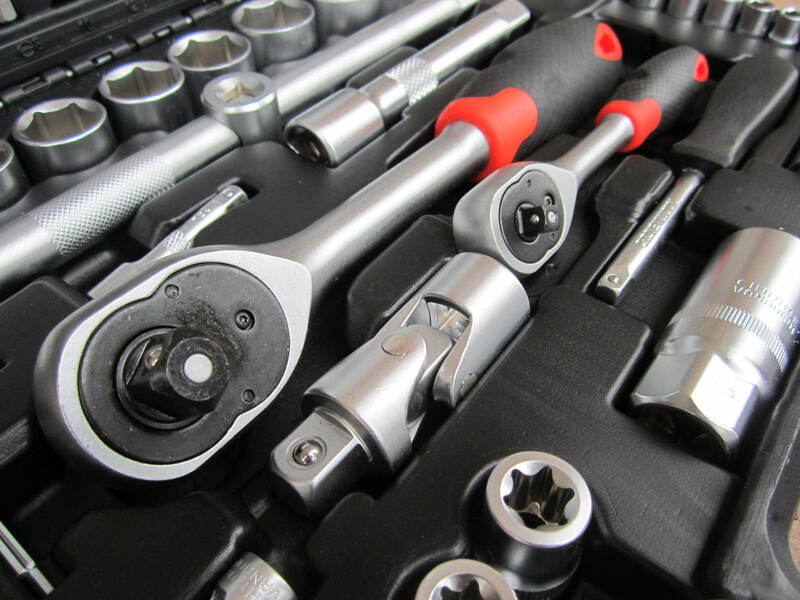 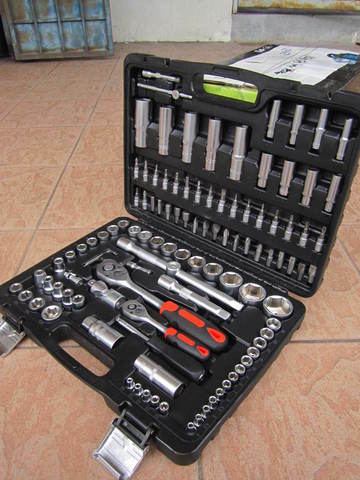 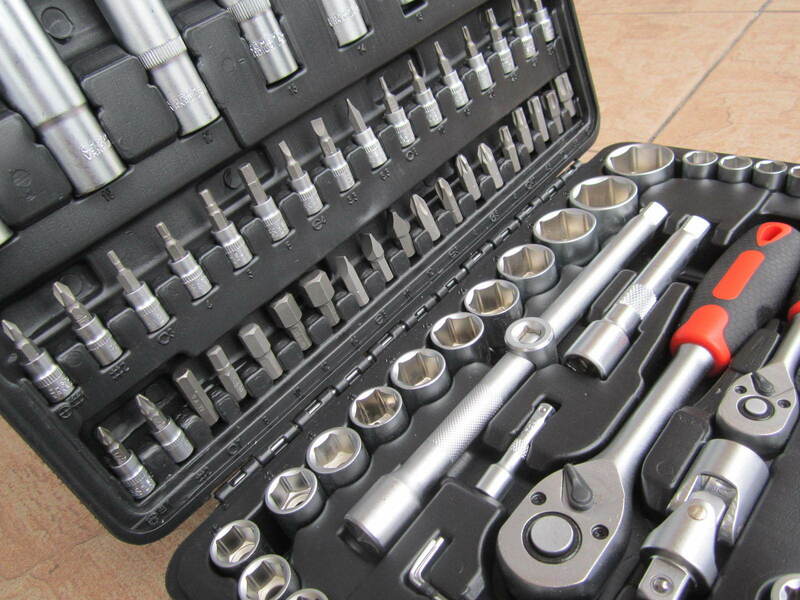 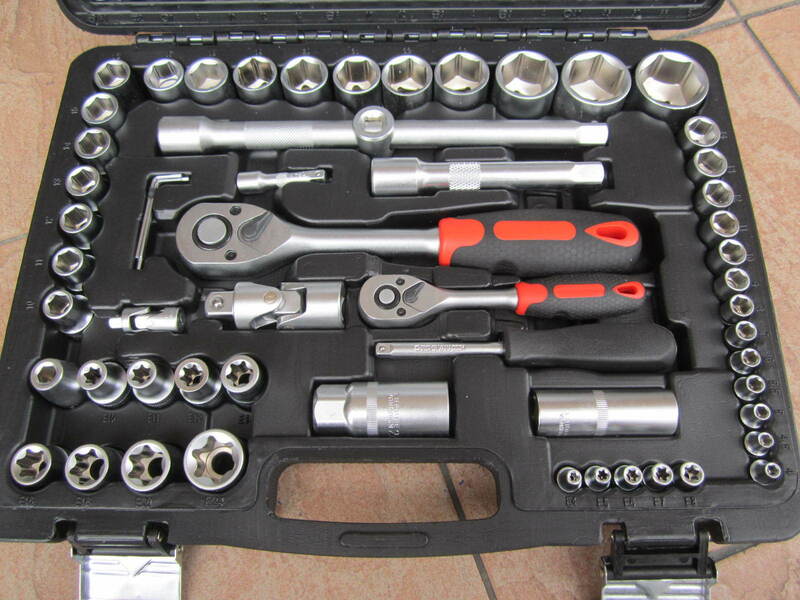 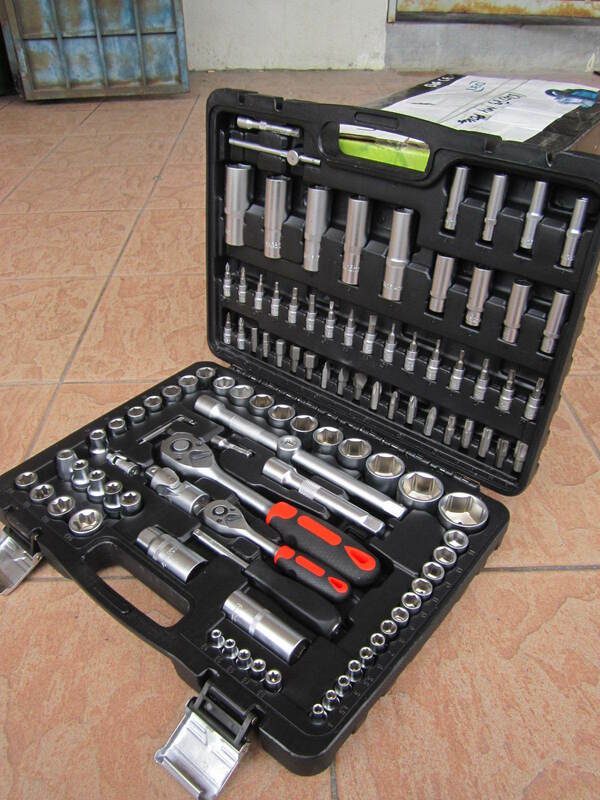 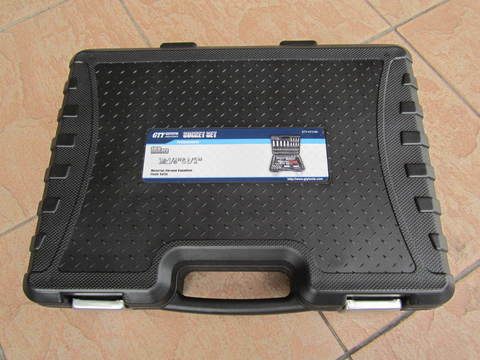 Professional 108pcs 1/4" & 1/2" Drive Socket Tools Set.. The Professional 108 piece Tool set is the perfect kit to have in your collection, whether you are a mechanic or just a hobbyist, this includes a comprehensive selection of tools presented in a lightweight and durable case. 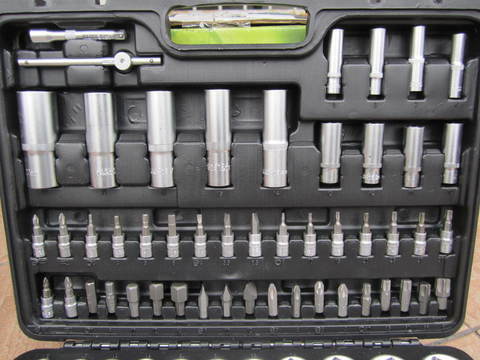 These tools are made from Chrome Vanadium Steel for strength and durability, and can be used on your Motorcycle, Scooter, Car, Van, Truck, Motor home or even boat! 2pcs 1/4" DR.Extension Bars: 2" & 3"
1pc 1/4" DR.Spinner Handle: 6"
2pcs 1/2" DR.Extension Bars: 5" & 10"